When you know you are going to sell your home, you want to get the most possible money you can from the sale. 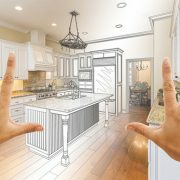 That process starts weeks, months, and possibly even years in advance of selling the home, as home renovations have proven time and again to boost property value far more than they usually cost. However, you have to balance your budget with what you can actually do, but within these constrictions, you need to choose specific projects that bring the most bang for your buck. Keep reading to learn the best renovations to help sell your home. If your home has old siding, consider replacing it with fresh vinyl siding. The average cost of this is around twelve grand. However, when the home is sold, you can expect back around 80 percent of that expense, making it a very profitable renovation to help sell your home. New vinyl siding is often consciously recognized as a highlight feature, and it helps the home with curb appeal. Before you do replace siding, consider if the old siding needs replacement. Sometimes, a good power washing is all that is really necessary, which is certainly much cheaper and would save your money for something else. If you do go for a replacement, consider your color options carefully. White colors highlight dirt, but a combination of taupe with black shutters conveys a rich and stately look. Another option that boosts curb appeal but is a lot cheaper than new siding is a new garage door, if yours is street-facing. Expect to spend around $2,300, but also expect to get nearly 90 percent of that value back. Doors with additional windows are quite trendy, and websites that sell garage doors often have a feature where you can upload a photo and see previews online before doing anything. Inside the home, consider the installation of wood flooring. You might pay out nearly six grand for this, but you get over 90 percent back. Oak is popular, especially in the Northeast. Choose hardwood over any products that are engineered, if you can. Off-gassing and high formaldehyde levels turn off some buyers. If you already have hardwood floors, just get them refinished. Interestingly enough, some renovations that you might think of as big ticket items in fact do not bring back that much value. That includes kitchen and bathroom renovations. Homeowners like to put their own touch on such rooms, so it’s better to just spruce them up and make them look nice as cheaply as you can rather than sink tens of thousands into redoing them. Your budget is far better spread out over the previously listed renovations. The notable exceptions are turning half baths into full baths, or just adding a bathroom where one did not used to be. These are the best renovations to help sell your home. Prospective buyers who visit and tour homes with these features are likely to buy your home faster and for more value than other properties that are not as enhanced. Selling a house is a tricky proposition, and closing a deal so that you can say goodbye to your familiar home usually feels like a big win. The next challenge is moving your household to a new home, and you need to take a little time to consider the needs of your pets during that process. This guide will help you make the transition to a new house as smooth as possible for your family’s animal members. Hopefully, the new home you’ve chosen is a place where your animal friends will feel comfortable. 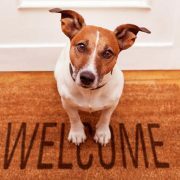 You can give the new home a “field test” by bringing your animals to visit, if possible, so they can get a feel for the house (or apartment) and the neighborhood. In many cases, you’ll need to transport your pet yourself during the move, and that means putting them in a crate. Give your pet plenty of time to acclimate to this by introducing the crate as early as possible. Feed them in their crate for several days so that they form positive associations with it. Let your pets get comfortable with the moving process by starting to pack things up slowly. If you can, leave one room your pets like unpacked until the last possible moment. This will give them a safe space even during the busiest part of the move. Have all of your pets’ record-keeping concerns sorted out before you move. If you’re leaving your preferred veterinarian behind, make sure you get copies of your animals’ medical records and fill their prescriptions. Get new tags made with your new address so that your pets will be easily identifiable. During the move itself, try to minimize the amount of confusion your pets are exposed to. You might want to look into boarding your pets with a friend or a commercial kennel; this is often the best way to keep them from getting loose during the loading and unloading parts of the move. If you’ve purchased a newly-built or renovated home, be aware that fresh building materials may release harmful chemicals (especially fumes) to which pets are especially susceptible. Air out your new home thoroughly before the move so that your pets aren’t exposed to an undue amount of toxins. Pack your pets’ essentials (food, bedding, toys, grooming necessities, etc.) in a convenient place and make unpacking them a priority as soon as you’ve moved to your new home. You want to create another safe space for your pets so that they have a refuge in their new home. If you have enough supplies you might even be able to do this before moving day. Even though your schedule gets very busy following a move, make time to keep up with the schedule your pets are familiar with. Feed and walk them at the times they’re used to. Moving can be a hectic experience even for capable people who fully understand the process. It can be much more stressful for animals who are unlikely to comprehend what’s going on. Use the advice presented here to minimize the confusion your pets go through after you sell your home and move to a new address. A vast majority of home buyers don’t understand the importance of mortgage preapproval when shopping for their dream home. In fact, shopping for your dream home without it is similar to shopping in a supermarket without your wallet. In today’s competitive real estate market, most home buyers tend to shop for their dream home as soon as they fill the mortgage application. They don’t wait until they receive a preapproval from the lender. This is a mistake that should be avoided if you don’t want to be disappointed over time. You will be wasting your valuable time in case the mortgage is disapproved due to whatever reason. This is why it is important that a serious buyer pursues a pre-qualification letter from the lender before shopping for his/her dream home. This article offers information on why getting your mortgage preapproval is crucial when shopping for your dream home on the market. Most real estate professionals are astonished that they still get offers from clients without the preapproval from the lender. In fact, most real estate agents prefer to reject such offers since it involves a risk of wasting their time in case the mortgage is declined by the lender. The lender will offer your preapproval after verifying all the important details of your credit history. These details include the credit score, tax returns, income, and bank statements of the client. Most real estate agents will call the lender directly to find out whether the client has the preapproval to shop for a home. This is why you need to get the preapproval letter from your lender before approaching a real estate agent to buy your dream home. Although a preapproval is not really a loan commitment, it helps speed up the loan approval process. 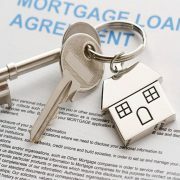 Once you have the green light from the lender, it is very rare that the lender will disapprove your mortgage. Hence, a preapproval letter can save the time of both the real estate agent as well as the client. In conclusion, the vast majority of home buyers do not obtain a preapproval when shopping for their dream home. Real estate agents will insist on obtaining a preapproval letter before shopping for your dream home. It can save you a lot of time. Do you own a piece of residential property that you want to sell soon? Are you trying to figure out what needs to be done so you can sell it quickly and get the price you want? One of the most important things that you can do if you find yourself in this situation is to work on the curb appeal. Simply put, this is improving the impression of your property as perceived from the roadside, or curb. Everyone knows that first impressions go a long way in relationships, and the same can be true regarding the feelings a person has for a home. The first impression your property puts forth should be inviting. When prospective buyers drive by, you want the home to entice them. 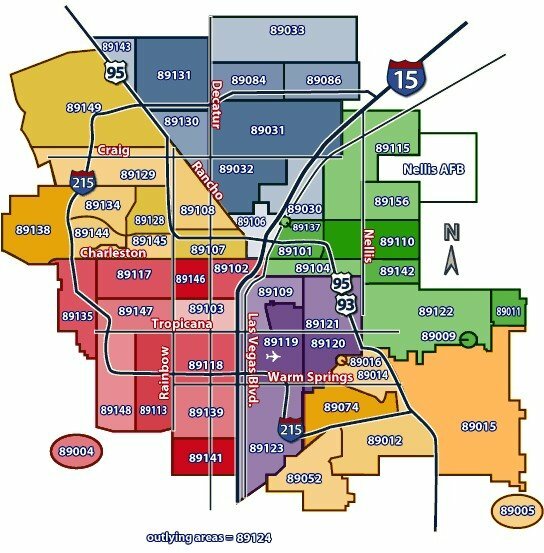 Buyers that are searching online and via real estate publications will first see pictures of the outside of your home. Now that you understand the importance, think of the different actions you can take that will make your house look better. Rather than a nice suit and expensive cologne, you might need a new garden with wildflowers and a fresh coat of paint on the outside. Even if you do not want to plant wildflowers in your garden, you should make certain that you have your yard mowed and landscaped. If you can afford it, hire a professional landscaping company to assist in getting the yard and shrubs shaped up. Otherwise, invest a few weekends into making sure that the entire thing is clean and looks spectacular. Fresh, crisp lines are more appealing than overgrowth. You will also need to make sure that the garbage and visible belongings are removed from the yard. Nobody wants to see your dog tie out or the toys your kids like to play on outside. Put most of these items away. Those that are still in use should be stored in the garage or otherwise out of sight unless someone is using it at that moment. The exterior of the house should be power washed at the very least. However, if the paint is old, you would be wise to have it repainted to improve the way it looks. If you take the time to implement these suggestions, you will be able to sell your home more quickly. Just remember that you never can get back that opportunity to make a first impression on prospective buyers!